UPDATE, 1700 GMT: Steve Bannon is out as White House chief strategist. Two Trump Administration sources spread the news to media such as CNN and NBC. The Administration sources said Trump told senior aides on Friday that he had decided to remove the hard-right “white nationalist” seen as instrumental in the 2016 election victory. But “a person close to Bannon” said he submitted his resignation to the President on Aug. 7: it was to be announced at the start of this week, the person said, but was delayed after the white supremacist violence in Charlottesville, Virgina. However, sources said Trump was infuriated by the publication of a Bannon interview with the liberal outlet The American Prospect, in which the advisor criticized the President’s approach to North Korea and bragged he could make personnel changes in the State Department. Podcast: Should Trump Be Given A State Visit to UK? 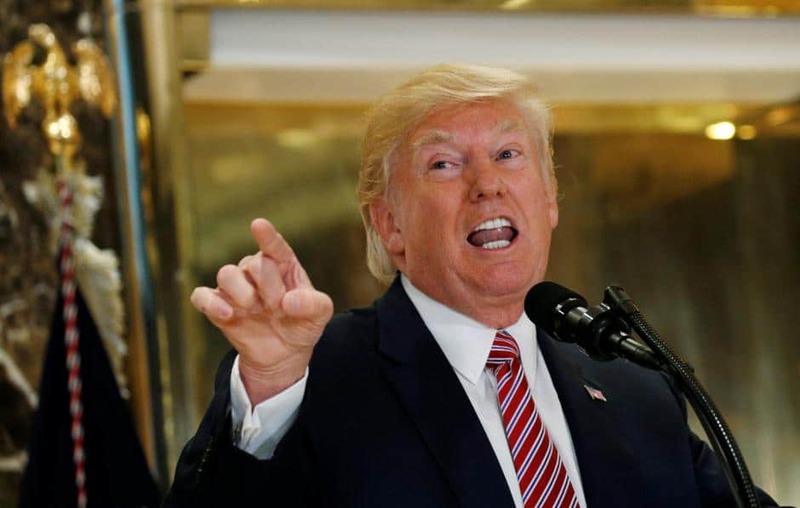 Donald Trump tries again to ease pressure on white supremacists over their violent weekend rally in Charlottesville, Virginia, seeking to reframe the issue as one about Confederate statues. While the initial issue for the Charlottesville march was the city council’s proposed removal of a statue of General Robert E. Lee, most of the white supremacists used the issue as a pretext for a wider display of their beliefs, including anti-Semitic declarations, the flying of swastikas, and “Heil Trump” salutes. Trump has never before shown an interest in the history of the Confederacy, let alone equating the defense of slavery with the ideas of Founding Fathers such as George Washington and Thomas Jefferson. However, with political pressure growing on him — including from Republican politicians and from business and industry leaders leaving his advisory councils — he appears to be taking refuge in a “Southern heritage and culture” line that has been used for decades to defend the maintenace of statues and the inclusion of the Confederate battle flag — the “Stars and Bars” — in State flags. What we want to see from our president is clarity and moral authority. And that moral authority is compromised when Tuesday happens — there’s no question about that. After Wednesday’s dissolution by CEOs of advisory panels on manufacturing and on business and finance, in protest at Trump’s remarks over Charlottesville, the White House said yesterday that Trump had decided to cancel plans to assemble a President’s Advisory Council on Infrastructure. Ironically and pointedly, the cancellation came during Infrastructure Week, the White House’s promotion of its plans which was overshadowed on Tuesday by Trump’s provocative comments. Several groups pulled out of events at Trump’s Mar-a-Lago resort in Florida, including The Cleveland Clinic and the American Cancer Society, and the head of the Palm Beach Chamber of Commerce urged businesses not to host events there. But far from reflecting on his position, Trump aggressively tried to take advantage of a terrorist attack in Barcelona, Spain, which killed 13 people and wounded more than 80. Historians and other observers quickly pointed out that the story — General John “Black Jack” Pershing killing insurgents in the Philippines with bullets dipped in pig fat in the early 20th century — is untrue. They also noted that the myth covers the execution of Filipino nationalists, who had little or no connection with Islam, by US forces, and that the insurgency continued for more than 30 years after the supposed end of the rebellion against US rule in 1913.